Driven by her love of art, Anita Jean Wildermuth decided to teach and share her passion with the younger generations. She was inspired by her elementary school art teacher, Lawrence Urbscheit, and her father. Both encouraged her to pursue art professionally. To help her achieve her goal, Ms. Wildermuth earned a Bachelor of Arts from Luther College and a Master of Arts in teaching from Rockford College. She also became a certified teacher in the state of Wisconsin. Degrees in hand, Ms. Wildermuth set out to make her mark. Her first professional position was art teacher at Dodgeville Public Schools, followed by art teacher at Viroqua Public Schools and Beloit School District. She retired in 1998. Her favorite part of the job was making the lessons fun and seeing the kids enjoy every minute of them. The highlight of Ms. Wildermuth’s career was being invited by the U.S. Government to go to China with the People to People Art Program in 1988. She met artists from all over the country, and still keeps in touch with them today. Outside of her career, Ms. Wildermuth was very active in her community. She was an emergency medical technician for the Turtle Fire Department from 1980 to 2005, the secretary-treasurer of Wildermuth Farms, Incorporated, and the owner of Thurin Apartments in Viroqua, Wisc. 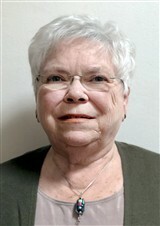 Further, Ms. Wildermuth was a member of organizations like the Wisconsin Original Arts Association, the Wisconsin Art Educators Association, the National Art Educators Association, the National Association of Photoshop Professionals, the Janesville Art League, and the National Farmers Organization. When Ms. Wildermuth has free time, she enjoys crafting, painting, golf, and computer graphics.